Can you believe that Easter is this weekend?! The months seem to have 'hopped' by—especially here at the Coye Law Firm. For this major holiday, countless Orlando communities and organizations gather annually to host Easter egg hunts, church services, and other fun events. Read below for some ‘egg-tastic’ local ways to celebrate with your family! Mall of Millenia: Click here for more info. Florida Mall: Click here for more info. College Park Easter Egg Hunt (Saturday, April 15): Hunt will take place at 9:00 am in Albert Park. Admission is free. Click here for more info. 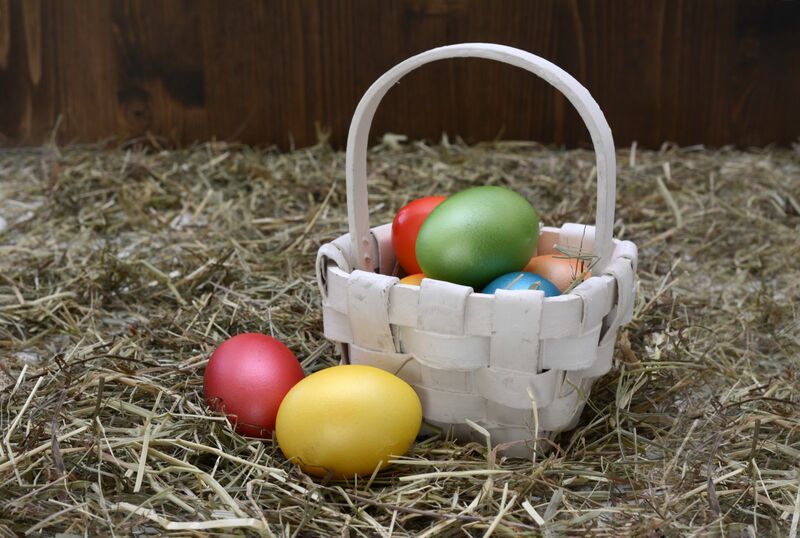 Winter Park’s 63rd Annual Easter Egg Hunt (Saturday, April 15): For children up to 10 years old, line-up will be at 9:30 am, and the hunt starts at 10:00 am. Location is Central Park West Meadow in Downtown Winter Park. Click here for more info. Kissimmee Easter Eggstravaganza: Located at Denn John Softball Complex, the hunt is continuous, and will begin at 10:00 am. There will also be face painting, bounce houses, candy, Easter Bunny photos, and more. Click here for more info. Green Meadows Farm Easter Egg Hunt (April 13, 14, 15, and 16): Tickets can be purchased online. Kids can hunt for eggs, meet Whiskers the Easter Bunny, see baby animals, and more. Click here for more info. Bok Tower Gardens Easter Sunrise Service: Gate opens at 6:00 am, service at 7:00 am, and free admission ends at 8:00 am. Buffet breakfast will be serve after for an additional fee. Click here for more info. First United Methodist Church Winter Park: Sunrise service is at6:30am; traditional services are at 8:00 am, 9:30 am, and 11:00 am; and contemporary service is at 9:30am. Click here for more info. First Baptist Orlando: Saturday service is at 5:30 pm; Sundayservices are at 8:30 am, 10:00 am, and 11:30 am. Click here for more info. Prince of Peace Lutheran Church: Sunrise service is at 6:30 am; traditional services are at 8:00 am and 9:30 am; contemporary service is at 11:00 am. Click here for more info. Discovery Church: Service times vary by campus location. Click here for more info. Morse Museum Easter Weekend Open House: Museum gallery admission is free Easter weekend, and will feature live classical music beginning Friday the 14th at 5:00 pm. Click here for more info. Easter Concert at Cranes Roost (Saturday, April 15): This is a free concert featuring JJ Weeks Band, John Waller and Natasha Owens with appearance by WaterStone Worship. Food and beverage available for purchase. Click for more info. Central Florida Zoo Hippity Hop Adventure (Saturday, April 15): Children can "hop along" the Adventure Trail to find clues from the Easter Bunny, and win candy and prizes along the way. Event is included with zoo general admission. Click here for more info. From the Coye Law Firm family, we hope that you have an enjoyable and relaxing Easter weekend!